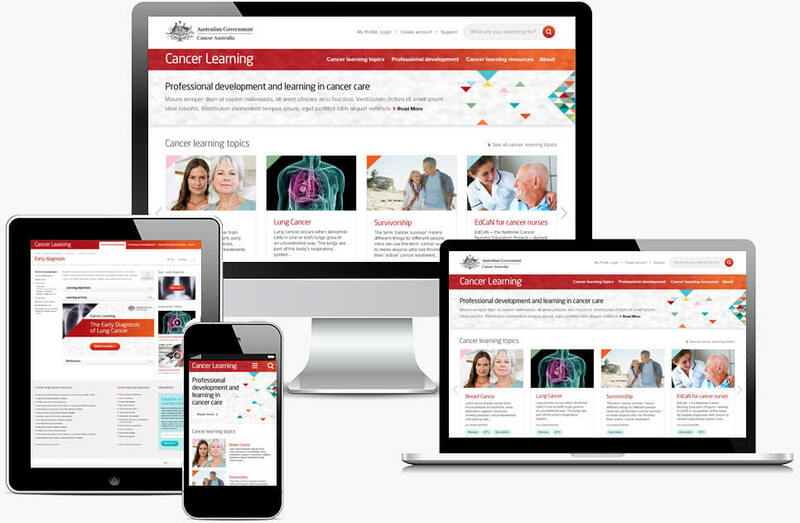 Cancer Australia approached Andrew Boddy to design a series of responsive interface screens for their new learning module. When the screen designs were approved, Andrew recommended that I build the templates to maintain the highest levels of quality and accessibility. Once the templates were complete, they were rigorously tested for platform compatibility and accessibility (as with all government websites). Then they delivered to the client’s internal I.T department for integration into their website.